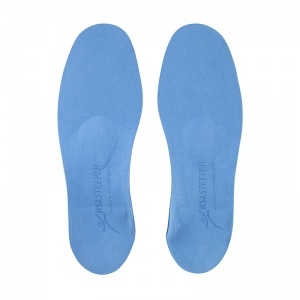 I have to say, that I'm so glad I bought these insoles. 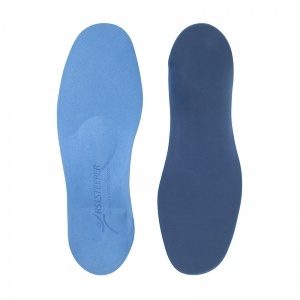 They are really good quality and have no pain when I am walking/driving/running. The only thing is that (and this is my fault entirely) when I buy another pair, I will get a medium arch and not a high one. I bought these in hope rather than expectation of any improvement but they have proved to work with my intermittent problem of painful toes in a riding boot while horse riding. It has made a big difference and I'm very pleased with the product. Comfortable to wear as well once you get used to feeling something under the arch of your foot. Highly recommended. Thanks for the positive review; we're glad that you've found a bit of relief! I find these, although very thin, only fit in certain shoes I have, hence the 4*s. But when they're in the right shoe, they are amazing! You can hardly feel them and the pain has vanished (I have Morton's Neuroma) which after about 6-8 weeks of hobbling and immense pain is like a massive lifeline to me as I have hardly been able to walk at all sometimes. Brilliant.